As in all the National Parks, your best bet is to head straight to the visitor’s centre, where you will be given maps and walk recommendations. Bryce isn’t a huge park, so a day is easily enough to see the highlights. We recommend getting out of the car and exploring by foot. The Navajo loop and Queen’s Garden trails are both popular options and best explored early to escape the crowds. There are also horse riding trips available which take you to the canyon floor along a scenic route. Whilst the groups are large, they operate with a ratio of 6 /7 riders per guide leaving at regular intervals, so you don’t feel the over-crowding. A lovely way to experience the beauty of the canyon. 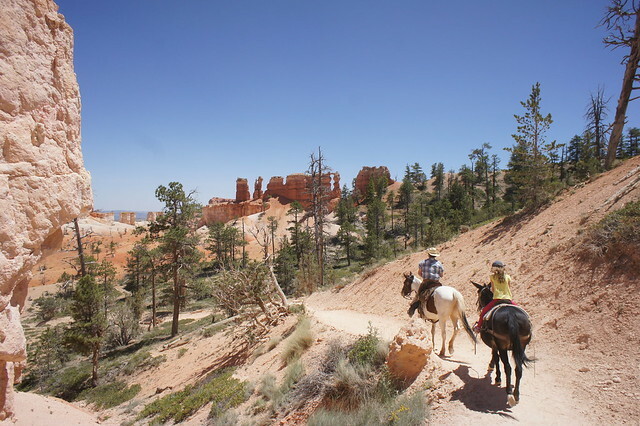 Rides can be booked at the Bryce Canyon lodge, or online. 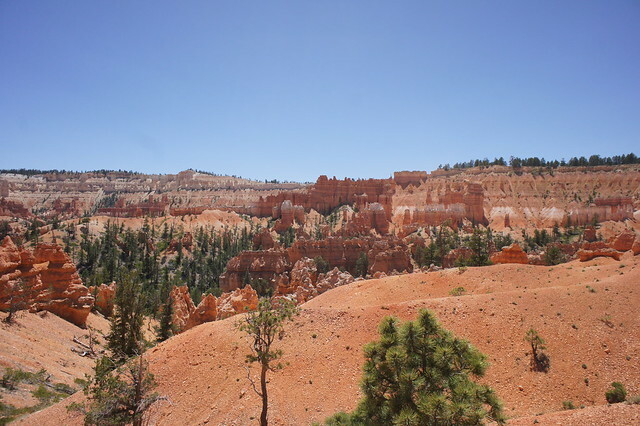 Just outside of the National Park is Bryce Canyon City, a real tourist trap where you will almost certainly stay for the night. 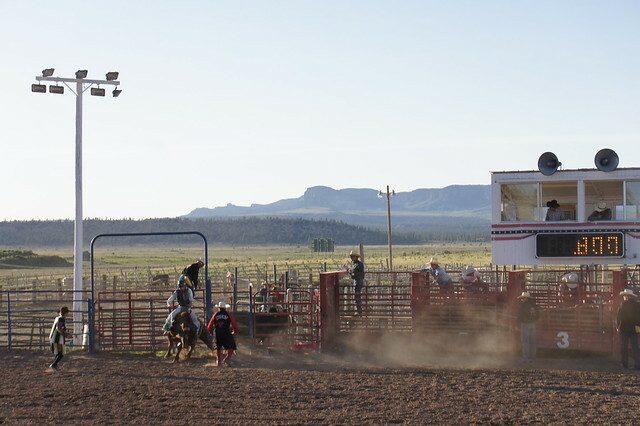 Whilst the food and accommodation options are not that exciting, there is a rodeo in town (Weds – Sun) which features racing and traditional bucking broncos. It is for tourist’s amusement, but the atmosphere is great all the same and guaranteed all the family will be whooping and cheering by the end.